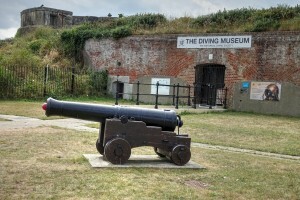 Gosport is the home of the global diving industry. 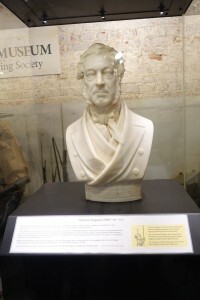 The co-inventor of the diving helmet, John Deane, lived in Gosport from 1835 to 1845 during which time he discovered the Mary Rose. 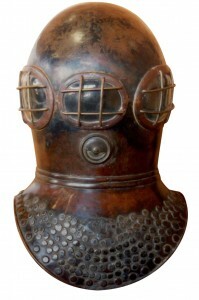 The first diving helmet ever sold by the inventors was to a Gosport mariner, Henry Abbinett. 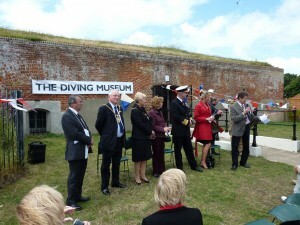 Gosport represents a natural home for the country’s premier historical diving museum. 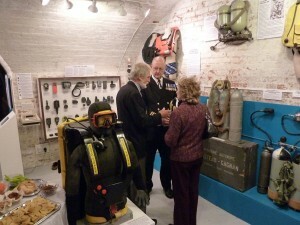 The Historical Diving Society museum was established in No.2 Battery at Stokes Bay in August 2010. 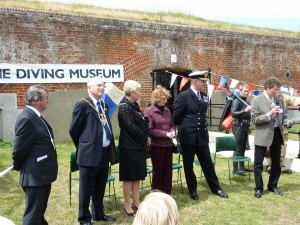 It opened to the public on 30 April 2011 and was formally opened on 18 June 2011 by the Mayor of Gosport, Councillor Chris Carter in the presence of Caroline Dinenage MP and Vice Admiral Sir Richard Ibbotson CB DSC. 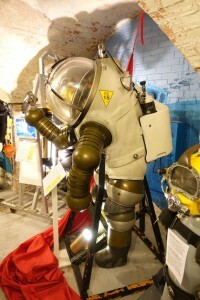 The Museum houses a collection of exhibits and artefacts connected with the history of diving. The Historical Diving Society (HDS) was formed in 1990 in the UK by a group of enthusiasts whose aim is to preserve and protect diving heritage. 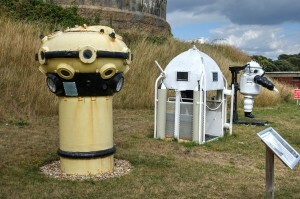 There is something for all, both divers and non-divers as well as activities for children including discovery quizzes. Exhibits include amongst many others equipment used by James Bond, modern and historical recreational diving equipment, deep saturation diving equipment and a comprehensive collection of Royal Navy equipment. 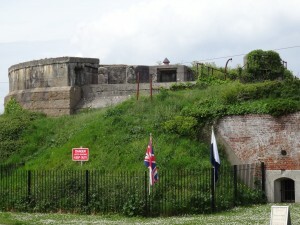 Larger exhibits can be seen outside the Battery beneath the ramparts adjacent to the No.2 Battery car park. 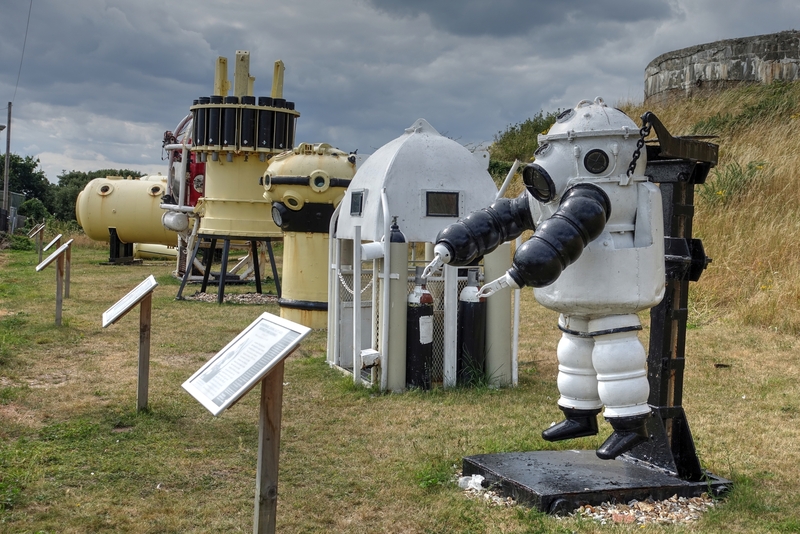 DIVING MUSEUM WAS VOTED ONE OF THE TOP SIX FAMILY-FRIENDLY MUSEUMS IN THE UK, 2015. 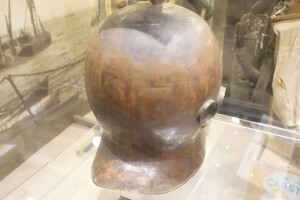 On display at the Gosport Hiustoric Dving Museum is the Deane Helmet. 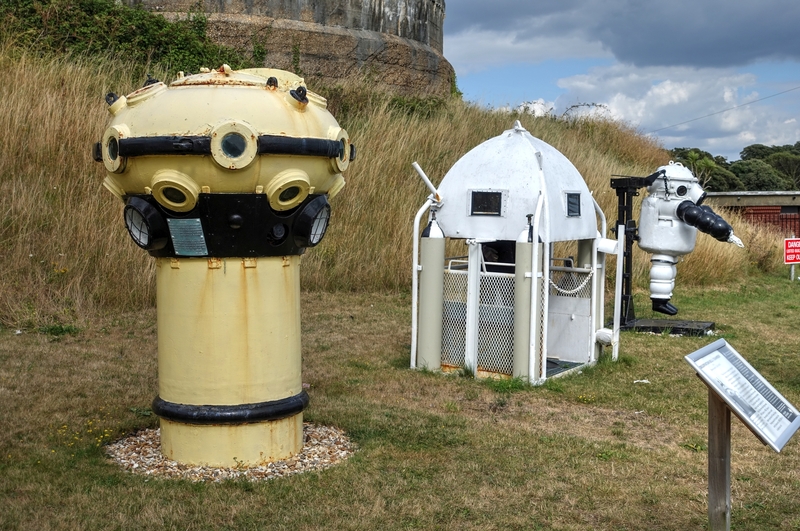 This is classed as a National Treasure. It is the world’s first successful diving helmet and dates from the early 1820s. The Historic Diving Society are extremely proud to have it in their museum in Gosport, on loan from The Science Museum, as this is the first time it has ever been on display. 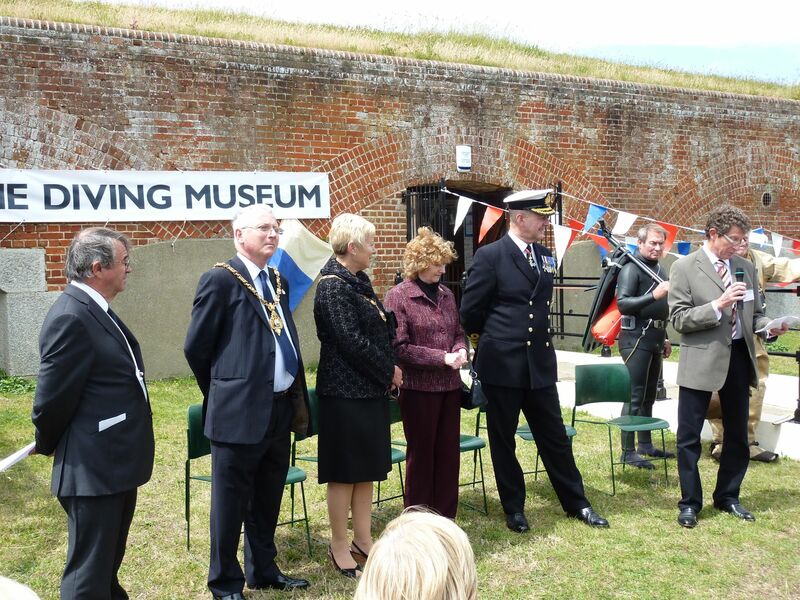 In March 2019 the Historic Diving Museum in No2 Battery, Stokes Bay welcomed the Major of Gosport Diane Furlong and Gosport M.P. Caroline Dineage, together with other distinguished guests from the diving world, for the unveiling of four historically significant diving exhibits to add to their recent acquisition, the Deane Diving helmet. 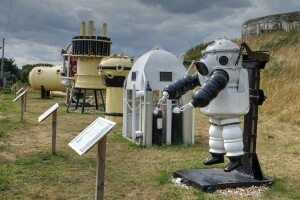 The ‘JIM’ atmospheric diving suit, (ADS) invented in 1969 by Mike Borrow and Mike Humphrey. 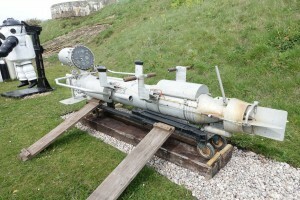 A man shaped submarine it could go down to a depth of 500m In 1976 JIM set a world record for the longest working deep dive, nearly six hours. 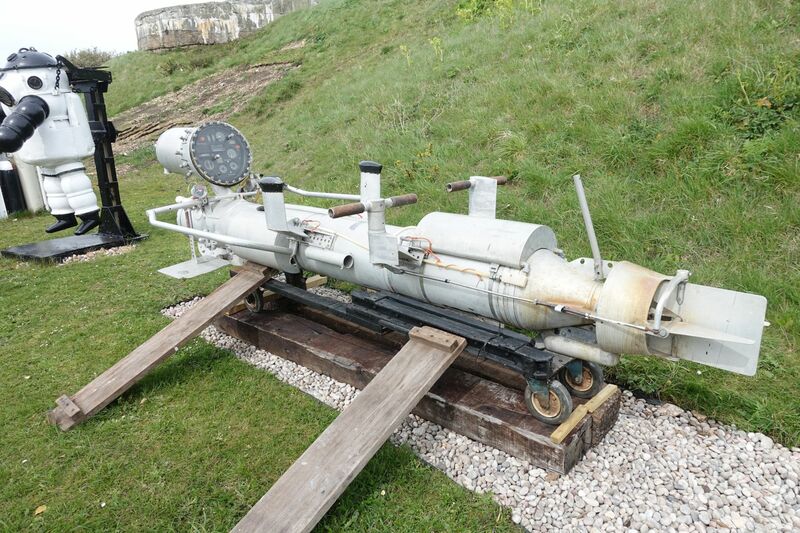 A Pegasus Special Forces Underwater Delivery Vehicle which is one of only four manufactured in the late 1960’s. 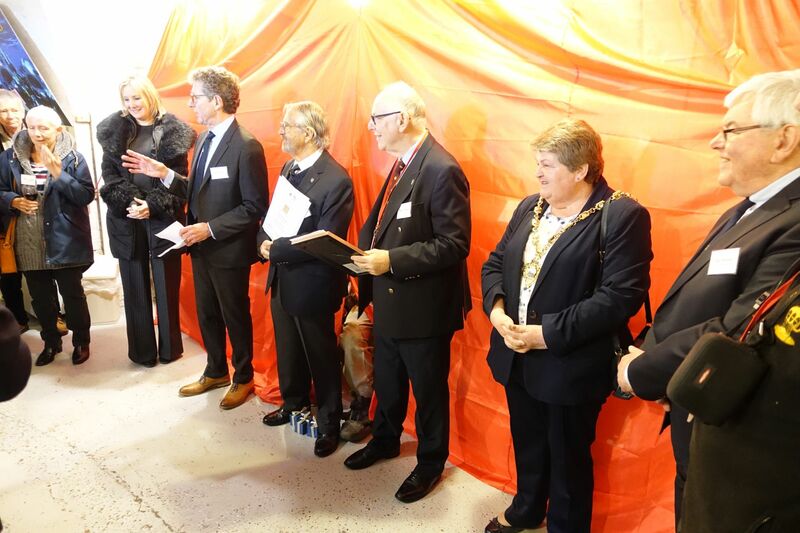 On loan from The Science Museum, two exhibits which are of international importance and have never been on display to the general public. The James helmet, the oldest diving relic in the country and second oldest in the world and the marble bust of Augustus Siebe (1788-1872) who founded the diving company Siebe Gorman. 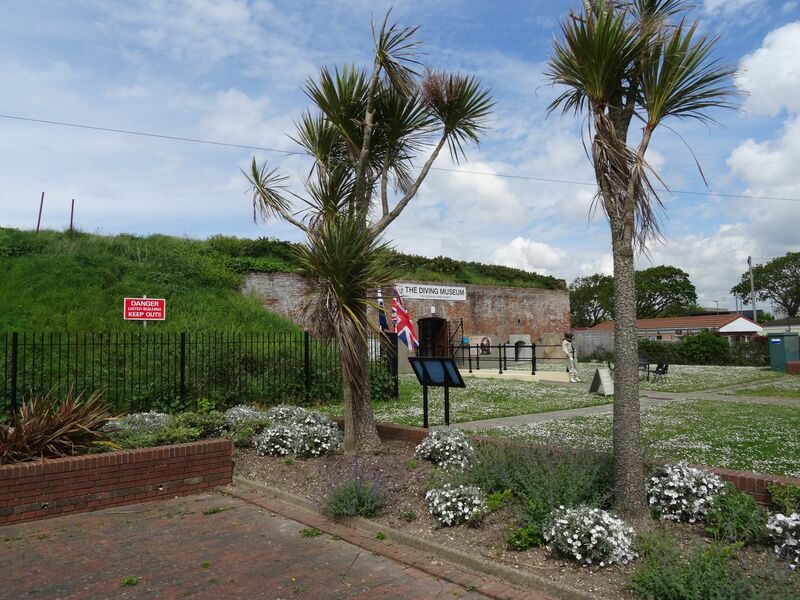 The Diving Museum, Stokes Bay Road, Gosport, PO12 2QU. Opening hours are 11am to 4pm. 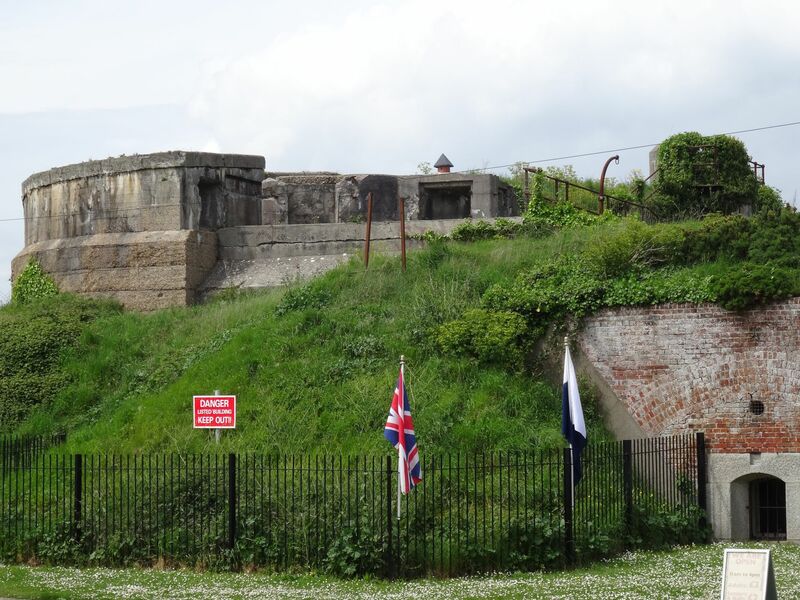 Admission: Adults £4; Seniors and Children (under 16) £3; Family £12; Under 5s are free. Carers: free. As the exhibits are both heavy and fragile, all under 16s must be accompanied by a responsible adult. 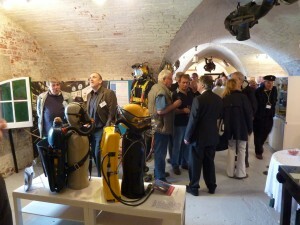 By arrangement the museum may also be opened for special interest groups and educational visits. Please note: The Diving Museum is housed in a Victorian Battery. There is a short flight of stairs down into the museum. 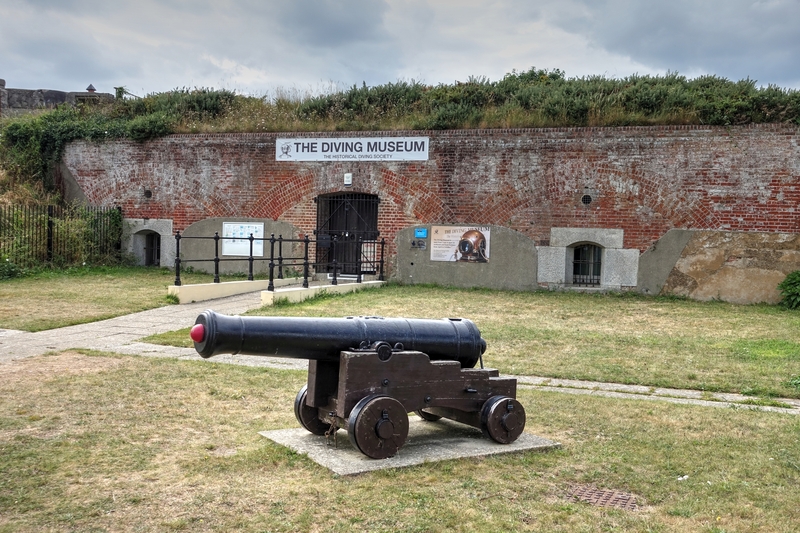 The museum volunteers are willing and able to assist anyone who may need help managing the stairs. They have a wheelchair in the museum which is available on request. Once you are in the museum all areas are then accessible by wheelchair.